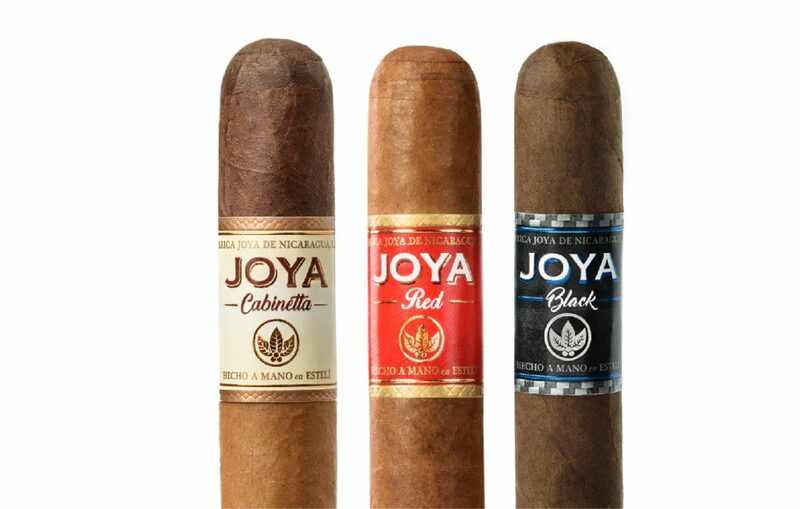 You can now get a taste of JOYA’s modern lineup from our new family sampler. 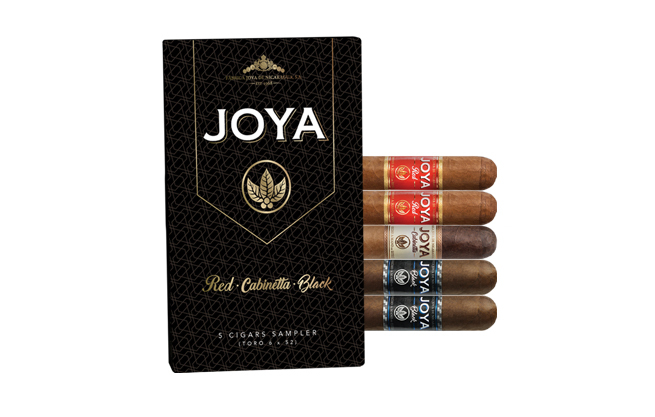 This sampler is designed for consumers who had tasted one or two of the cigars in JOYA’s modern lineup, but wanted a chance to experience them all at once. The sampler comes with two Joya Red and Joya Black cigars and one Joya Cabinetta. “With this update we aim to provide a practical way of both tasting all your favorite cigars from the JOYA line, while also providing a protective packaging to be able to carry them anywhere you want.” said Mario Perez, Joya’s Factory Manager, as he supervised the quality control room along with our historic worker, Panchita. #JoyaCabinetta #JoyaRed & #JoyaBlack at #Intertabac! “ We introduced Joya Black and the revamped Cabinetta at last year’s IPCPR and the response has been extremely positive. This was a direct follow up for Joya Red’s release two years ago. All together now they form what we call the modern JOYA lineup. For this reason, we are looking to provide a practical way for consumers to taste every cigar in that portfolio.“ Said Juan Ignacio Martínez, Executive President of Joya de Nicaragua. This new packaging was designed based on various feedback we got from our consumers. We now have a practical way for you to sample all of the cigars in Joya’s modern lineup. What do you think of the new packaging? Let us know in the comment section below!